Bernd Wilhelm, VW's representative to the International Suppliers Fair (IZB), and IZB board member Thomas Krause want to promote a technical dialog with suppliers. Bernd Wilhelm and Thomas Krause say the IZB is the industry's only event dealing exclusively with the supplier sector. Mr. Wilhelm, how many exhibitors do you expect at the supplier fair this year? In all, about 650 supplier from 21 countries will participate. We increased our exhibition space from 33,000 to 35,000 square meters compared with the last IZB in 2008. Mr. Krause, can you continue to increase the fair's size? There are still opportunities for small-scale improvements. But the amount of available exhibition space is pretty much exhausted. This year, we added to our parking areas at our expense, so we have some relief there. The exhibition area, however, will stay at about 35,000 square meters long-term. How many exhibitors are coming from this year's partner countries, the U.S. and Canada? Wilhelm: About 100 companies, with about 70 from the U.S.
What are you offering participants from the partner countries? Wilhelm: One characteristic of the supplier fair is an integration of conferences and exhibitions, that means we are linking theory and practice. For example, there will be an electric mobility forum starting on Oct. 4, and the American-Canadian Automotive Congress takes place on Oct. 5, one day before the fair opens its doors to its specialized visitors. Many other technical events take place parallel to the IZB, including the VDI/Volkswagen joint conference, the annual meeting of the association of manufacturers of technical textiles in Europe, and Mobility Talk. Krause: We have made it our job to provide support to each partner country in the run-up to the fair as well as afterwards. We see this focus as a unique characteristic in the trade fair landscape. 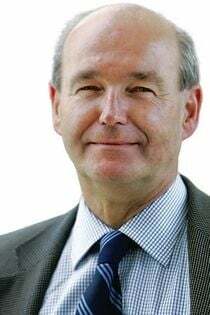 Since May 2010, Bernd Wilhelm, 64, has been the Volkswagen management board's representative for advanced robotic systems as well as for Wolfburg's IZB supplier fair. Wilhelm, who has a doctorate in mechanical engineer, was CEO of Wolfsburg AG for a three-year stint from 2007 to 2010.
joined the VW Group in 1973 and had responsibility for various specialized and management activities at the company's German factories in Salzgitter and Wolfsburg. For example, he was CEO of VW subsidiary Sitech Sp. zo. o., technical managing director and CEO of Sitech GmbH and board member at Sitech-Dongchang between 2004 and 2007. 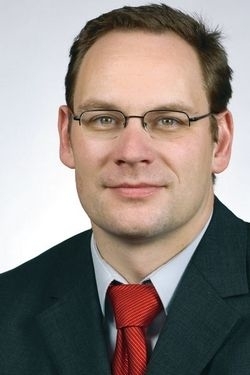 Since September 2007, Thomas Krause, 42, has been a member of the Wolfsburg AG management board. After an education in banking, he studied economic geography, with a focus on economic and business management. While earning his degree, Krause became an EU funding consultant at the European Commission's Euro Center in Hanover. for economic and employment promotion. He led the technical area of strategic planning, development, controlling and management, and statistics between 2003 and 2007 at the city of Wolfsburg. What role does Volkswagen play at the IZB? Wilhelm: Volkswagen's appeal is naturally the nucleus of the whole thing. But IZB hasn't been VW's in-house fair for a long time. Many companies are proud to present themselves here, at the home of VW. Ultimately, each supplier has to show its competitiveness in quality, cost leadership, ability to deliver, and power to innovate, rather than just display an exhibit. Do you offer a better cost-benefit ratio than other fairs? Does that provide you with an advantage? Wilhelm: Yes. To a degree, we are noticeably below other trade fair events in our pricing. Krause: Naturally, it's also very interesting for suppliers to have a presence in a region with a relatively high supplier density. The IZB offers companies that would like to settle in Wolfsburg and the surrounding area a chance to get their first experience in the area. Either as a visitor at first or as an exhibitor later, these companies can become acquainted with the VW Group and the requirements of its purchasing organization. But that sounds quite specific to VW. What role do other manufacturers play at IZB? Krause: We also consider it to be a dialog between suppliers and representatives of other automakers that come to IZB. Since 2006 at the latest, according to our estimates, other automakers' purchasing departments have been seeing IZB as an industry window where they can hold discussions with suppliers. Two years ago, for example, automakers PSA, Ford, Opel, Daimler and BMW were at the fair with small teams to seek out a technical dialog with suppliers. Is there great turnover from exhibition to exhibition among the suppliers that participate? Wilhelm: About two-thirds of the suppliers are regular clients. There are new suppliers simply because the IZB partner countries vary and we set alternating themes from fair to fair. There are trade fairs all over the world. What makes the IZB different from those other fairs? Krause: The IZB was the first and to this point the only fair that deals exclusively with the auto supplier industry. Other fairs try to integrate the auto supplier theme into their concepts. But that's not authentic. There have been plans to roll out the IZB idea to other countries. Did the global financial crisis affect those plans? If so, when will you be ready to get back on track? Wilhelm: We have plans available for this. Due to the economic crisis, we agreed after the last IZB in 2008 that it made no sense to go into other countries with the fair at present. But we will take up the issue again once the economic situation stabilizes sustainably. How many people does Wolfsburg AG employ? Krause: We have more than 90 core employees as well as many part-time workers hired by our staffing agency. The agency aims to connect companies seeking staff with qualified employees for part-time work. What is Wolfsburg AG involved in besides the IZB? Krause: We are involved in the strategic activities of training, health, energy and leisure. For example, we lobby to establish innovative, technology-oriented companies here. More than 10,000 jobs have been created since the beginning. About 2,800 came from in start-ups and young companies, 65 percent of which still exist. By comparison: the national average is just half that figure. Can you give us an example from one of your fields of activity? Wilhelm: Let's take the leisure business as an example. At the Allerpark, where incidentally the IZB takes place, we've developed a first-class sport and leisure area for the city of Wolfsburg and have established leisure-related services there. It includes a football stadium, a lake with a water skiing facility, an ice skating arena, a rock climbing park and much more. What is your future vision for the IZB fair? Wilhelm: In terms of content, we could conceive of an expansion into production technology. We also want to present automotive research themes more forcefully in the future. For example, we have a zone in the hall where the three technical universities of the region, Braunschweig, Clausthal-Zellerfeld and Hanover, present their expertise in the research fields of transportation and especially the key theme of electric mobility. We want to show that there is a network extending through the process chain that the industry can collaborate with.